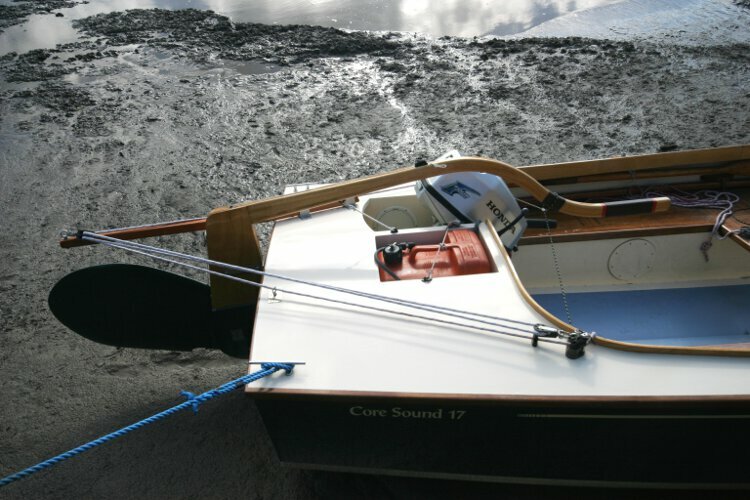 This example of the Core Sound 17 design has been built to the highest standard by an expert boat builder. 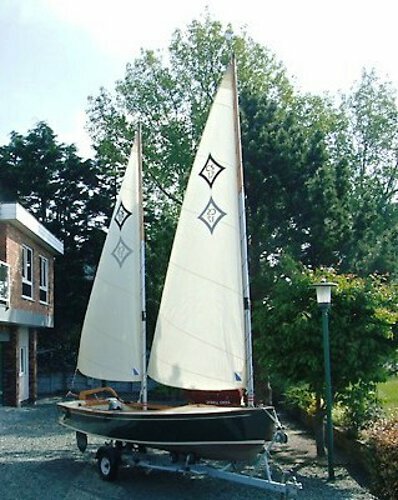 Her Cat ketch rig is easily managed and her sails are by Goacher sails and they come with sail socks. 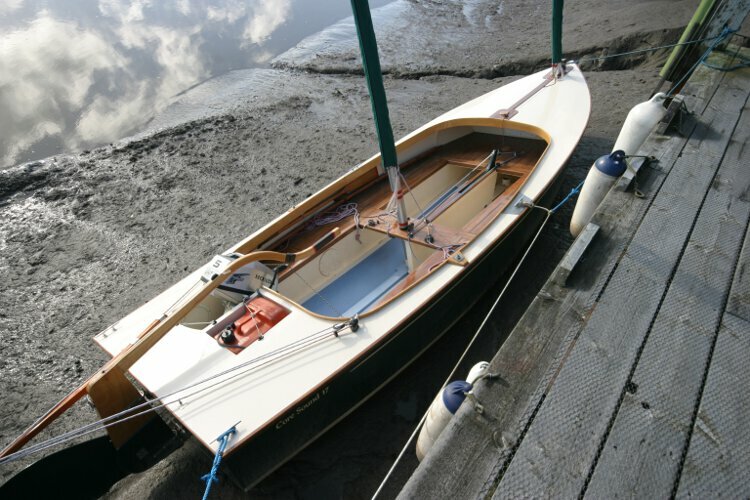 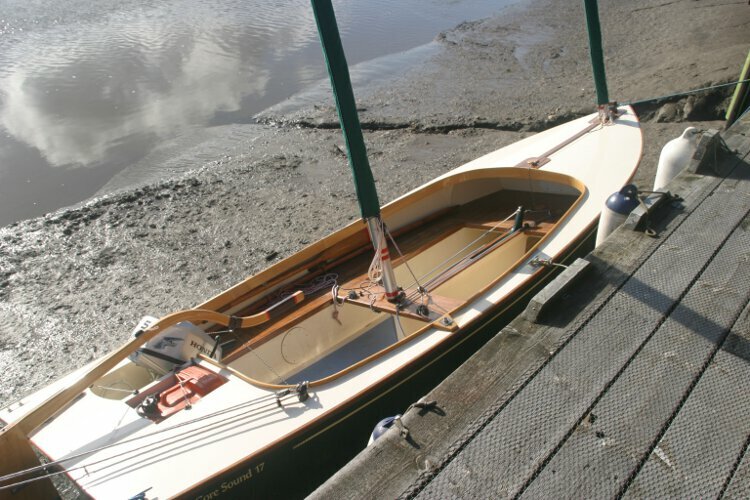 Her lifting keel results in a draft of 7.5 inches with the keel up and 3ft 6in with the keel lowered. 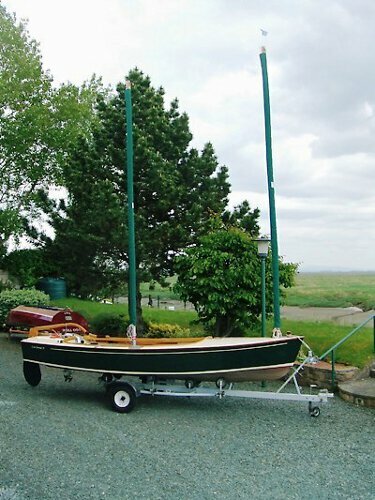 This makes for easy launching and recovery from her road trailer. 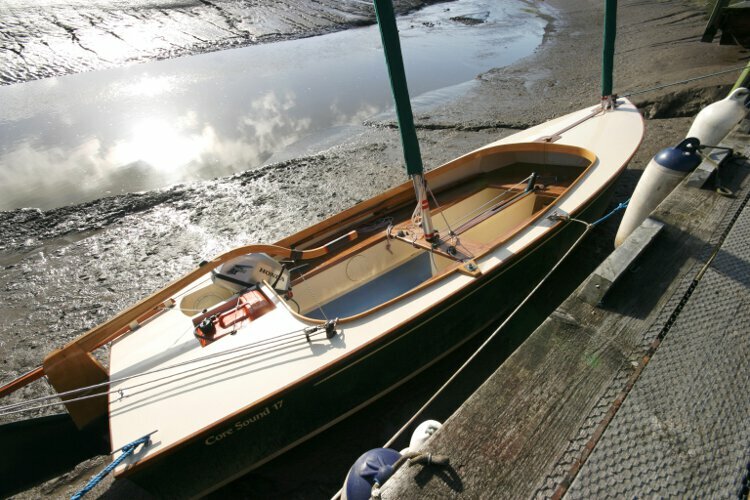 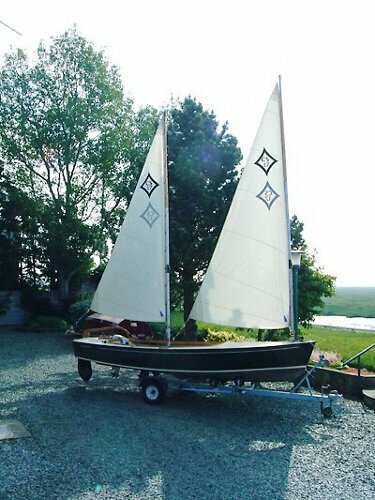 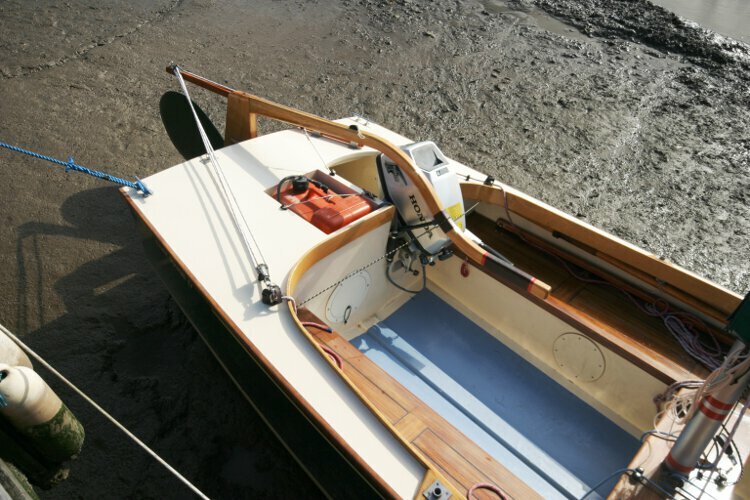 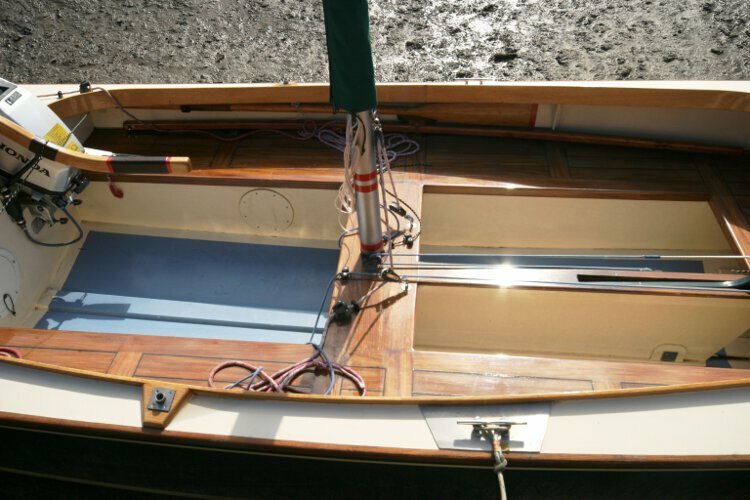 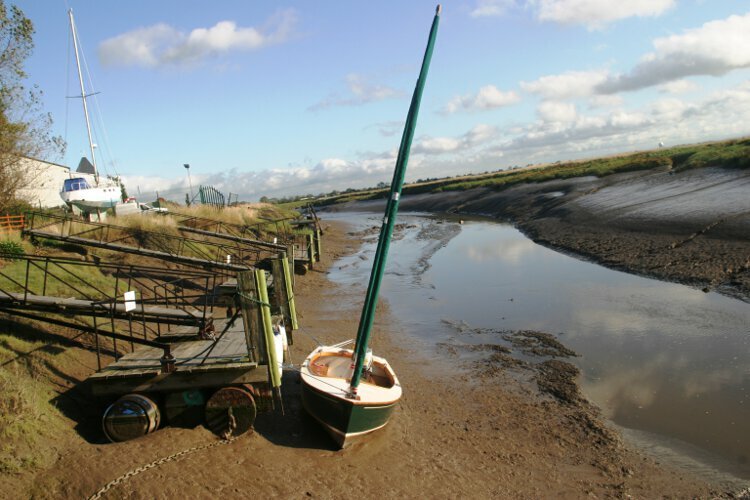 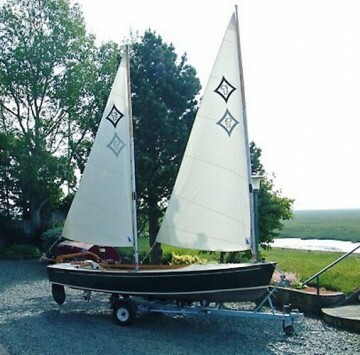 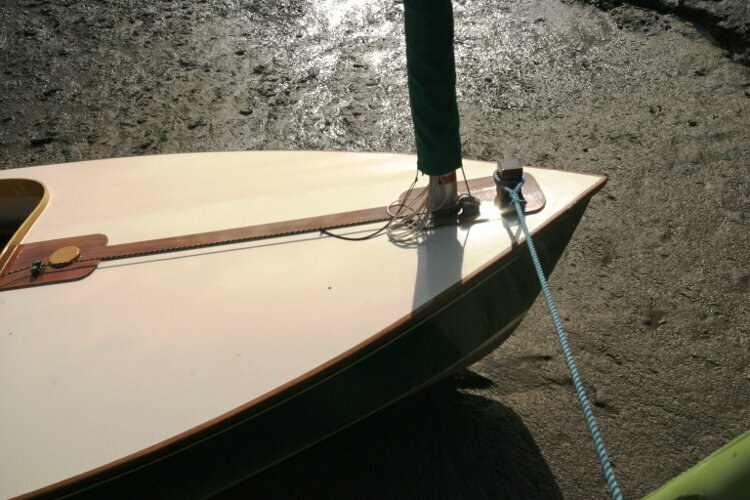 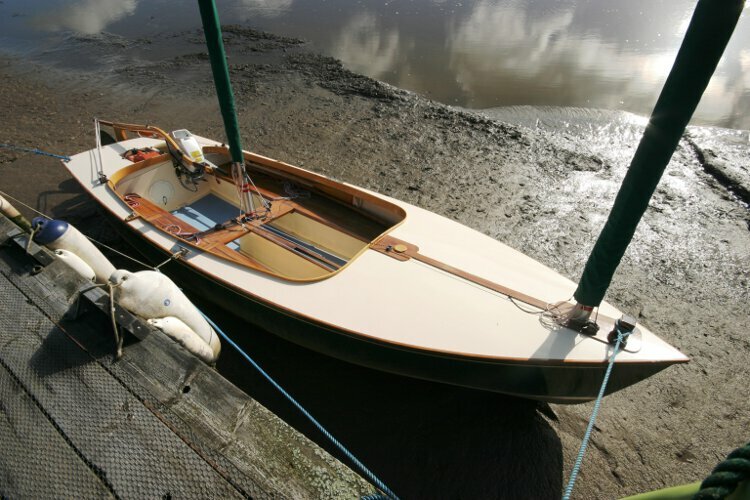 Her shallow draft also makes her ideal for exploring creeks and estuaries, with her center plate down she has sparkling sailing performance. 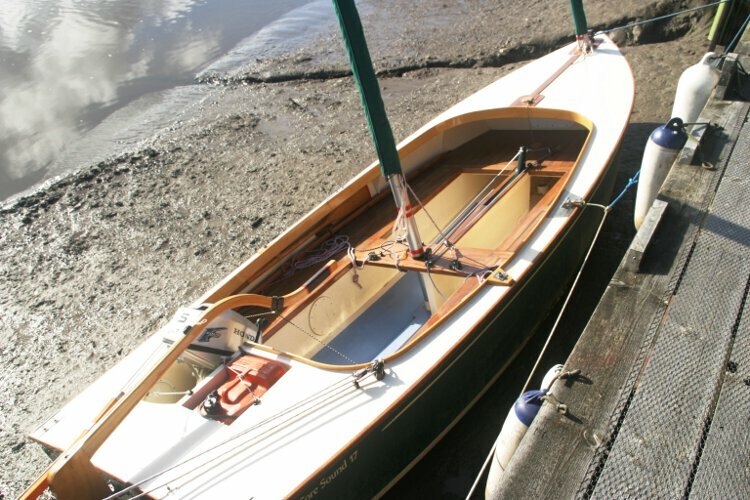 The main mast has a choice of two positions on the fore deck. 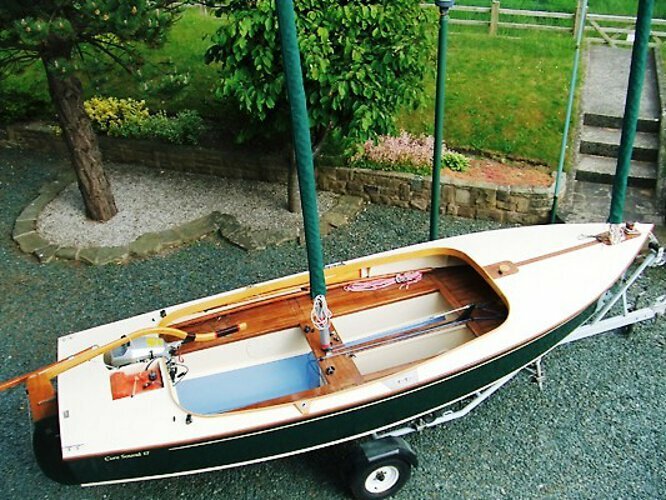 The outboard engine is not included in the price.